SM’s premier beach resort development in Nasugbu, Batangas has once again received the Bronze Benchmark status from EarthCheck, a leading environmental management and professional services group for the travel and tourism industry. This status recognizes Hamilo Coast’s environmental impact through its commitment in achieving sustainable operations based on global standards. It received its first certification of a Bronze Benchmark status from EarthCheck in 2015. 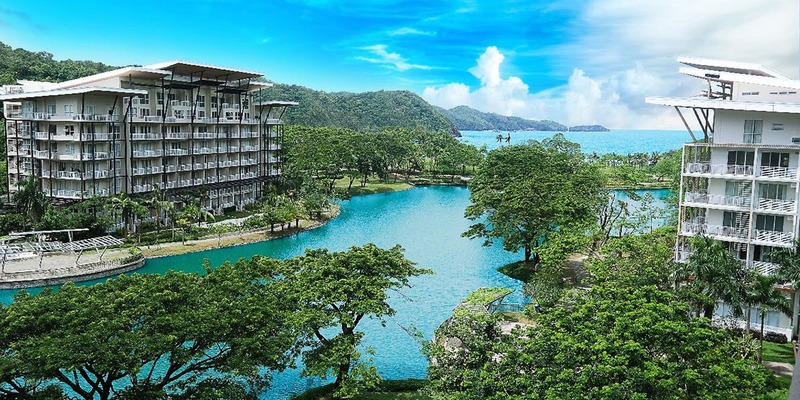 As can be seen in its maiden development, Pico de Loro Cove, the design and architecture of key structures show attention to energy efficiency, use of renewable energy, and proper waste management. “Sustainability has always been at the forefront of Hamilo Coast’s vision of providing premier beach resort living in the country and what better way to realize this vision than being recognized with such milestone that further intensify our commitment to nurture a sustainable beach resort community,” said Shirley C. Ong, EVP for Hamilo Coast. Together with WWF Philippines, coastal and terrestrial resources are also managed to protect and nurture biodiversity. Ongoing projects include mangrove reforestation, pawikan conservation, marine mammal rescue, and reef monitoring. Hamilo Coast is a seaside sanctuary along Nasugbu encompassing three mountain peaks and 13 coves. Marine sanctuaries have also been created such as that located in Santelmo Cove where giant clams are being cultivated. Such initiatives are also intended to benefit neighboring communities. It is of paramount consideration to Hamilo Coast to enhance not only the areas where they live, but their sources of livelihood as well. With the assistance of the SM Foundation, community members are involved, motivated, and educated to be prime movers themselves of these sustainability efforts. EarthCheck CEO Steward Moore has said that Hamilo Coast has taken a significant leadership position in sustainability. “I would like to congratulate the whole team on their achievement. Hamilo Coast is an advocate of sustainable tourism who dares to make a difference,” concluded Moore. The property is a premier beach resort town in Nasugbu, Batangas and is approximately 90 minutes from Manila via Cavitex and the new Ternate-Nasugbu Road.